One of the most important elements to improving your home brewing is being able to control the temperature of the fermenting beer. If the fermentation gets too hot the beer may not clear properly and the yeast can produce esters and other by-products that create nasty off flavours in your prize brew, or if it drops too low the yeast can go dormant and fermentation can stall or stop completely. Some beer styles call for hot or cold fermentation however you really want to be able to control this process so you can accurate hit the temperatures you are looking for. In the last couple of brews I made the FV’s were left to the mercy of the natural air temperature in the brewery and as the English summer kicked in and temps hit 25C (and occasionally even higher) they both fell foul to the symptoms of stressed yeast. I vowed this wouldn’t happen again and therefore it was time for another DIY project! 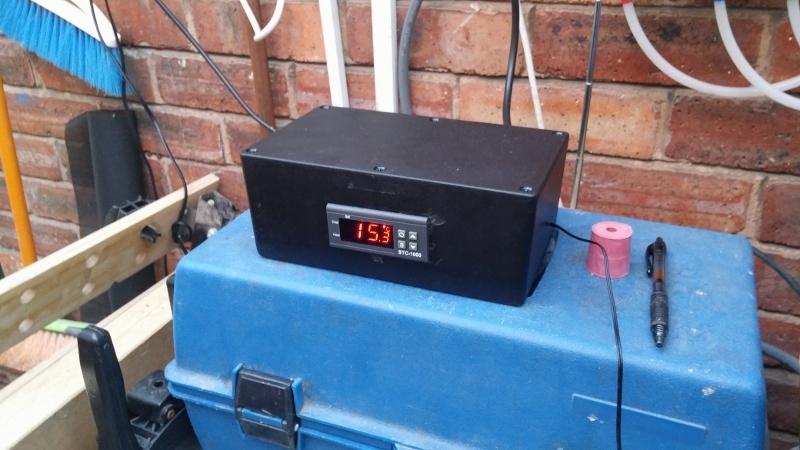 It is common practice for homebrewers (or aquarium owners it seems) to use a STC-1000 to control their temperatures. 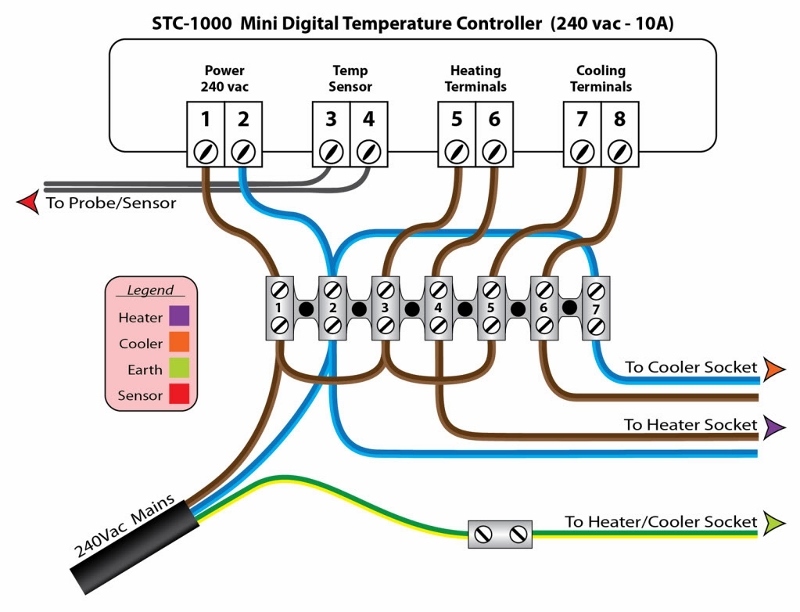 Without going too much into the detail as to how they work, an STC-1000 will monitor the temperature through it’s probe and if too cold will power a heater circuit or too warm will send power to a cooling circuit. It was up to me to build those circuits though! The total cost of the bits above was about £70 but this included the £20 fridge from ebay and the Tube Heater. The cost of the STC box and cables etc was more like £35 and again I used UK based ebay sellers so with a little more research or waiting it would be possible to bring this cost down further. 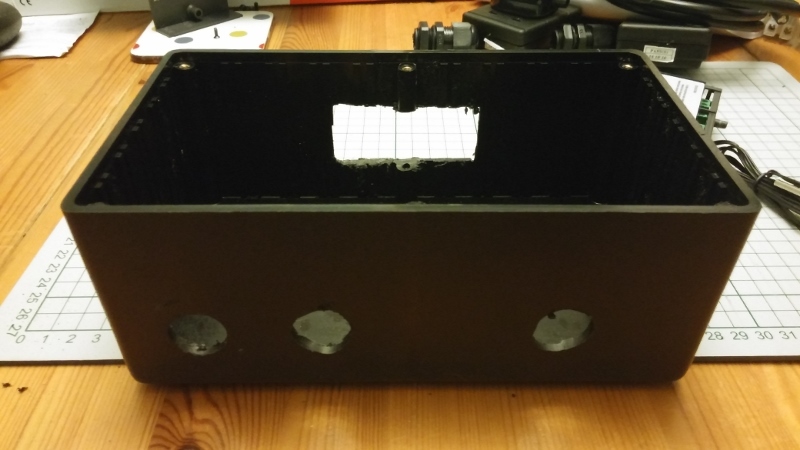 Cut the holes in the project box and fit the STC and three Cable Glands. I also drilled a 6mm hole to pass the probe through. The Dremel made this job a doddle compared to the drill and hacksaw approach I took to the DIY Stirplate! 2. Pass the 3 core cables through the glands into the box then remove the outer cover to allow easier wiring. I used the following wiring diagram off the internet however take care because on some STC models the Heating and Cooling circuits are the other way around! 3. 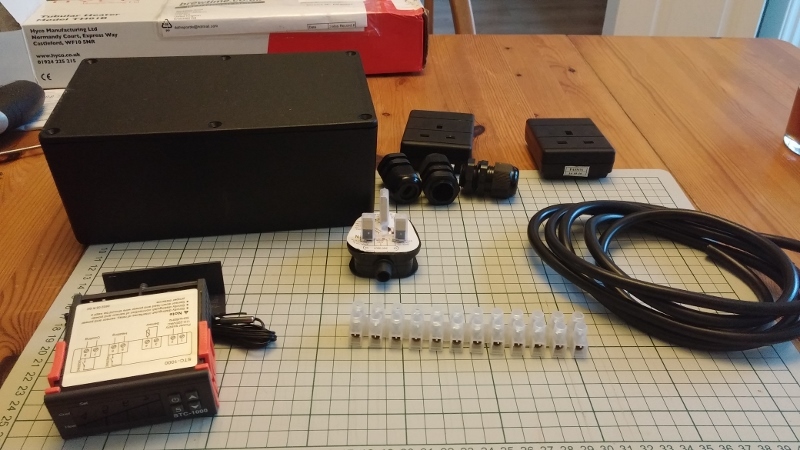 Close up the box, assemble the plugs and sockets on the cables and plug it all in! 4. Once the build is complete the probe itself needs to be calibrated against a known temperature such as boiling water or in my case I used a thermometer that I had already verified as accurate. F1 is set to the temperature you require (19C in my case for fermenting an IPA). F2 allows you to define how accurately you want the STC to get to that temperature. For example a setting here of 0.5 degrees will send power the cooler when the temperature reaches 19.6C, a setting of 0.2 will turn the cooler on at 19.2C. F3 controls the delay in turning the fridge compressor on and off. Rapid switching the compressor on and off can reduce its working life, a setting of 3 minutes is pretty standard here it seems. F4 allows you to calibrate the probe. I found that the default probe was reporting 3.5C lower than my trusty thermometer so if I set my STC to 19C with no corrections I was actually only holding a temperature of 15.5C inside the fridge! Not ideal for fermenting beer! This was corrected by setting F4 to -3.5 and now 19C is actually 19C! And that’s all there is to it! 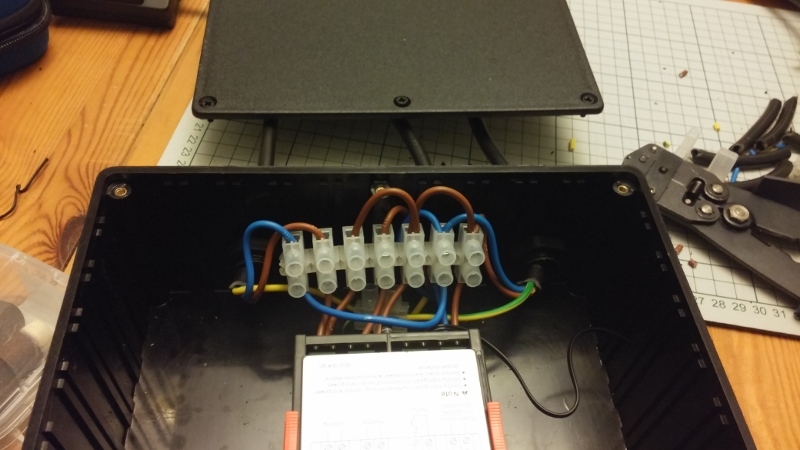 Other than the wiring which was a little fiddly this is a very simple project to build and should make a big difference to the quality and consistency of beer I produce. Again I should point out that I am not a qualified electrician! Please be extremely careful if you chose to follow these instructions and remember beer/water and electricity don’t mix!